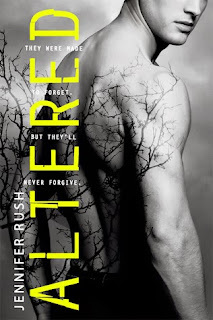 Altered by Jennifer Rush ~ Love.Life.Read. Imagine learning that everything you remember is false. For Sam, Trev, Nick and Cas all they have ever known is the basement cells in Anna’s farmhouse. Anna does not remember much other than the boys being in her basement. When the agency shows up to remove the boys from the farmhouse, imagine Anna’s surprise when her father tells her to go and stay with Sam. They escape and while on the run they try to put the pieces of their lives back together because all they know is what they know is not the full story or even half way to the truth. Full of mystery and intrigue, romance and heartache and characters you will love and hate, this book has something for most readers. This is a fast paced thriller set in current day United States, making it instantly relatable and easy to get swept away with it. The twists and turns and the highs and lows will keep readers engaged until the very end. The characters are what make this story—Anna and Sam are the heart of the story. Drawn to each other when neither believes it is okay, the two will give their life up to keep the other safe. The secondary characters are equally as well developed. I wanted to hate Anna’s father, Nick and eventually Trev, but I know their circumstances has made them what they are today. They will resonate with you long after you put the book down. I am thrilled that the story will continue in Erased, due out in January. Ms. Rush has made me an instant fan and I cannot wait to read the rest of the books in this series. Yay for Altered love! January is way too far away! I LOVED Altered! It's one of my favorites this year and I can't wait to get my hands on Erased! The author made a few announcements about the books on her blog... one including more books! It is one of mine as well! I did see the post--so excited for all the books. I hope Cas' and Trev's stories both get picked up. :) Happy Reading!